Choose “Kustomer” from the i) Embedded Thermometer type drop down box. Next, enter your Kustomer sub-domain name. This will allow direct links back to Kustomer conversation threads, from within your Customer Thermometer reporting screens. 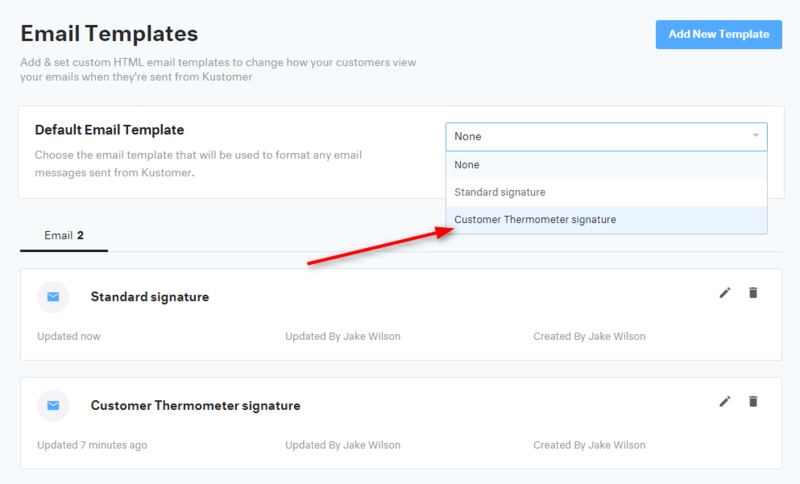 Customize the remainder of your Thermometer and Landing pages as required. Click the Generate embed code button. You will see a window pop up. You can find the Kustomer Merge fields by creating a shortcut within Kustomer, and using the ‘insert dynamic text‘ option to drop the relevant merge field into the shortcut. You can then copy that merge field for use in Customer Thermometer. Login into your Kustomer instance, with admin access. Give it a name when you see the popup. You’ll then see an edit template box. 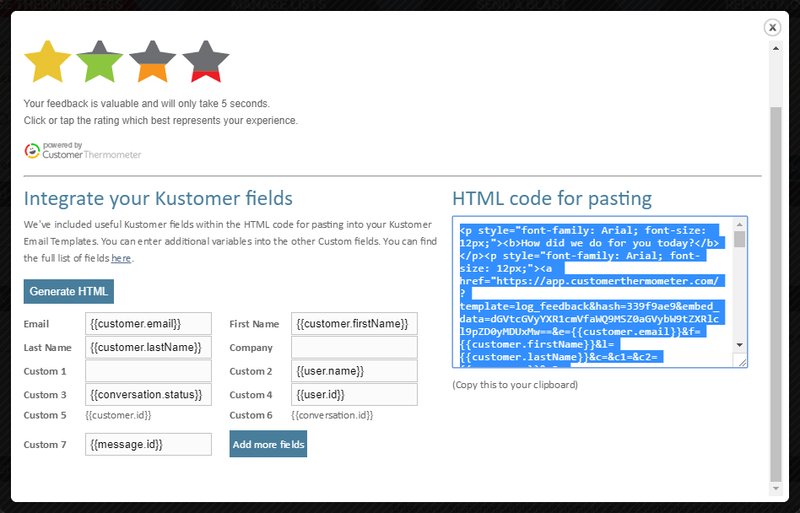 Delete the default HTML code and paste the Customer Thermometer embed code, created in Step 1 above. You can amend the layout and styling as you see fit. That’s it – all replies from your team will now allow your customers the ability to provide feedback at any point in the Kustomer conversation. 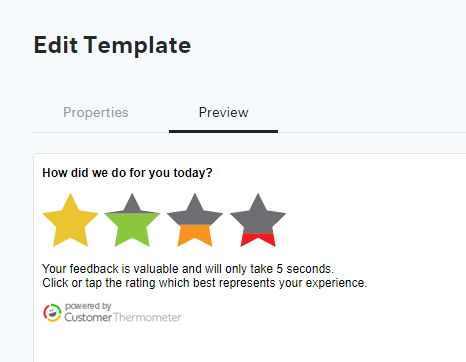 All ratings and comments and links back to the relevant conversation will appear in your Customer Thermometer reporting. 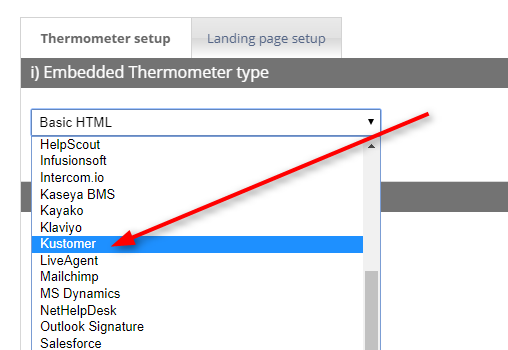 Once you’ve embedded your Thermometer into Kustomer, you’ll need to finalize your landing pages. 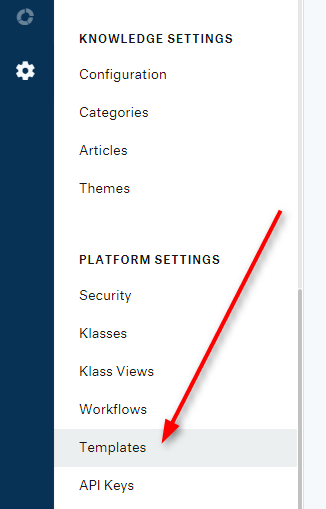 You can enable a comment field, add your logo, customize the wording, and lots more!